Alloy A286 UNS S66286 Sheet, Alloy A286 Nickel Sheet, A286 Alloy UNS S66286 Sheets, UNS S66286 Sheets, ASME SA286 S66286 Sheets, A286 Werkstoff No 1.4980 Sheets, Alloy A286 Shim Sheets, Manufacturers, Suppliers, Exporters, Mumbai, India. 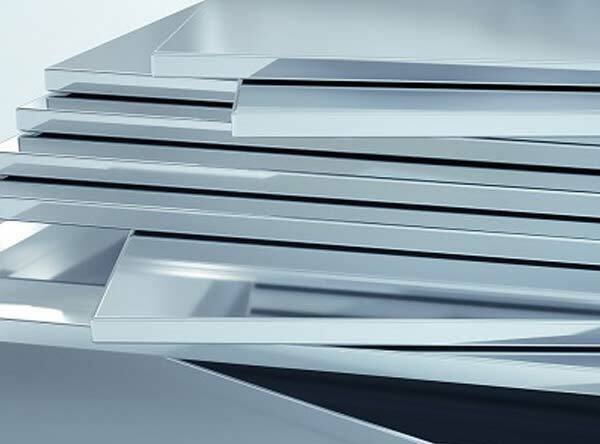 Alloy A286® Sheet has high strength and good corrosion resistance; therefore, it is used for applications at temperature up to 1300° F. Alloy A286® Sheet can be hardened and strengthened by heat treatment. Alloy A286® has been used in jet engines, superchargers, turbine wheels, blades, casings, afterburner parts, and fasteners. Alloy A286 Sheet can be solution treated at the temperatures detailed below, rapid cooled and then age hardened at 1325ºF (720ºC) for 16 hours and air cooling. The 1800ºF (980ºC) solution treatment produces the highest creep-rupture strength in age-hardened material whereas the 1650ºF (900ºC) treatment results in improved ductility and room temperature strength.